Matteawan Gallery is presenting “It’s About Time” a solo exhibition of the work of Eleanor White. 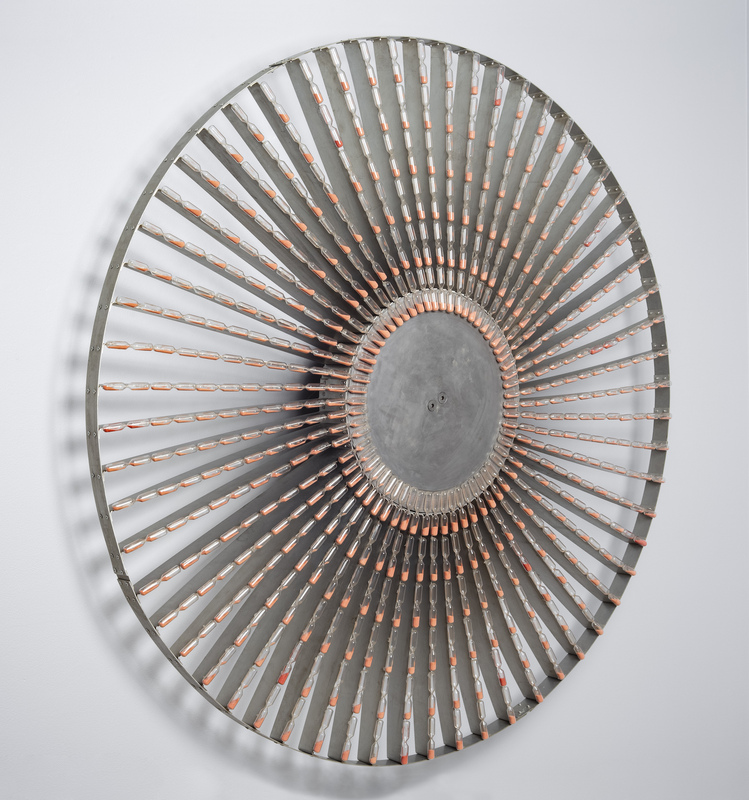 On display is the kinetic wall sculpture “Continuous Timer”. This work is comprised of hundreds of glass and sand timers arranged on a spinning wheel. Featuring a high order of rotational symmetry by adding movement this piece references the infinite symmetries found in circles. 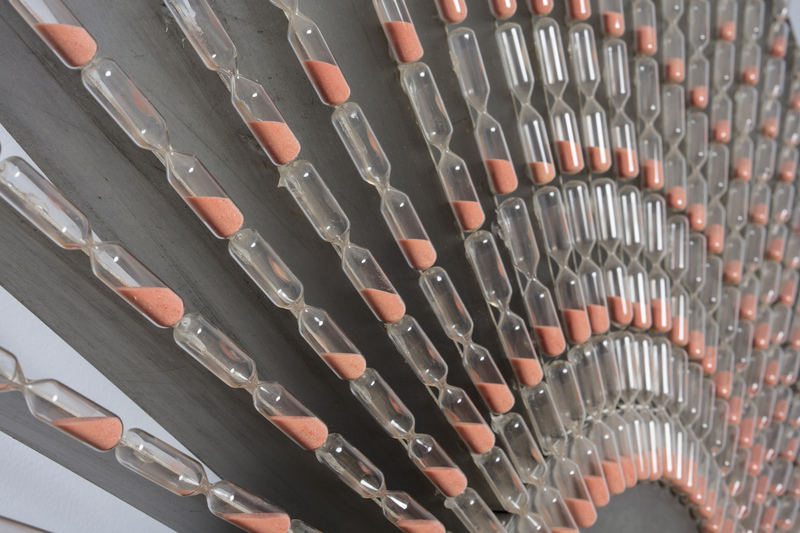 The constant re-leveling of the sand within each glass timer breaks the symmetry with the introduction of the concepts of gravity and equilibrium. “Continuous Timer” is one of the best examples of a work of art using mathematics as a metaphor for time and relativity that I have seen.